Supercell has dropped a bomb on the mobile gaming market. Their new game, Clash Royale, soft launched just as 2016 got started. They have soft launched in only 8 countries, but this game is already a sure success. Supercell has already committed the game to a global launch in March. Supercell has made a lot of smart choices with this game. They have a fun, competitive, forward-thinking game that exemplifies what modern free to play design should feel like. Previously I’ve talked about just how difficult Multiplayer on Mobile is to get right, yet here Supercell threw out the rulebook. They’ve now proven that Synchronous multiplayer can work on mobile. Many have even gone as far to say this is the first successful MOBA on Mobile. Whatever you want to call this game, it will be a success, and it did so while breaking many of the rules. But enough praise for the game, today I’d like to talk about my favourite subject when it comes to mobile game design: sessions. Specifically, where I think Clash Royale succeeded in creating session design that pulls players back each day. Player use cards to spawn various units to attack opposing player’s towers. The goal is to destroy their towers before they destroy yours. The strategy is in choosing when and where to place your cards: to counter your opponent’s units, and to ultimately press the opponent enough to destroy their central tower. Overall it is a hectic strategic game that lasts only a few minutes. It feels like a real-time hearthstone match mixed up with the clash of clans gameplay. The loop is focused on collecting and gathering cards. Not unlike Hearthstone. The big modification though is the ability to upgrade these cards. Comparing Clash Royale to Hearthstone, the ability to upgrade cards changes matchmaking and progression quite a bit. To upgrade a card, you need to collect duplicates as well as coins. The real key comes in the rarity of the cards. Some cards are inherently better than others (ex. the Giant), and since they are RARE or EPIC, they drop a lot less than others. 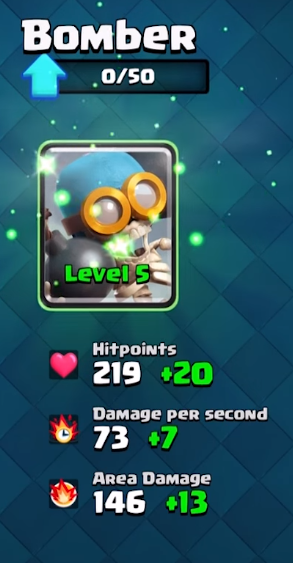 So not only do you want to collect these rare cards, you also need to collect a lot of them to fully upgrade the card. This strong desire to collect and upgrade your cards is what drives all systems in the game. Each session is about attempting to get as many chests (and thus cards) as possible. To collect cards the fastest, the player has to play by the rules that Supercell desires to drive retention and monetization. To analyze Clash Royale’s sessions, let’s start with the most obvious system: how Clash Royale starts and ends its sessions. Good sessions always start off with a instantly rewarding mechanic. 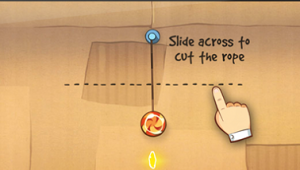 Most games aim to have a collection of resources each time you return or a Daily Reward System. This gives the player a good feeling instantly after starting up the game. But having an instantly gratifying mechanic isn’t enough. The player must quickly form a goal which will drive the player further into the game. They need a goal which asks them to engage in the core gameplay. 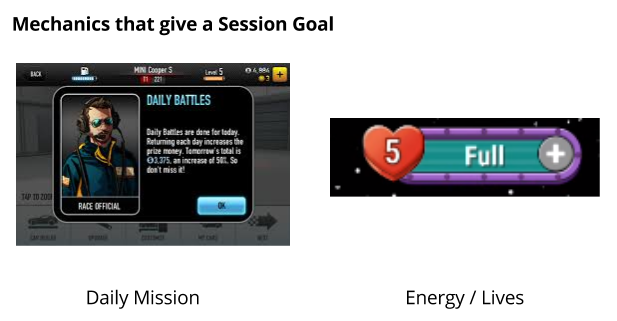 This dynamic is usually created by a Daily Mission system or wanting to use up all Energy. Clash Royale creates these 2 dynamics with 2 systems: A free chest every 4 hours, and a crown chest after collecting 10 crowns. The free chest system marks the beginning of your session: you come in, open up your free chests. It feels rewarding just to come back. Secondly, the crown chest. To open you must collect 10 crowns from opponents. This gives me a nice short term goal. Even if I am far away from ranking up, I want to collect 10 crowns so I get the crown chest. Realistically this goal can be accomplished in 1 session, or at least within a day. This is perfect for driving a strong session length. A clear goal as soon as they’ve opened up the app. Something that the player feels good for accomplishing. This chest can be opened once per 24 hours, which gives a strong daily goal for players. Players wanting to get the maximum number of chests come back each day and play enough matches to collect 10 crowns. 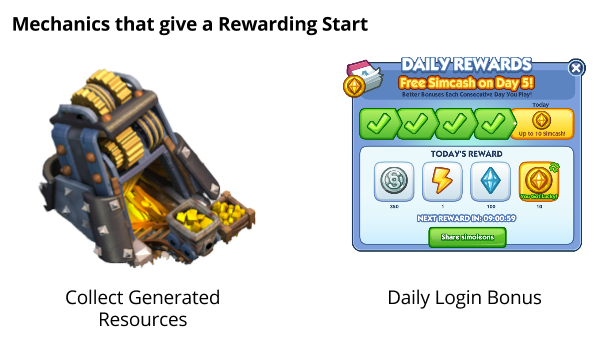 These 2 chests, which take up a small portion of the UI, incentivize strong sessions per day and strong session length. Secondly lets look at the Chest Slot system. Each time you play a round, if you win (score more crowns than the opponent), you will receive a chest. This chest is randomly chosen from Silver, Gold or Magical. Each chest takes time to open: 3h, 8h or 12h. You can only open 1 chest at a time, and to restrict things further, you only have 4 slots to store chests. No other game on mobile has used this pattern for pacing players. This is the first I have ever seen someone attempt something like this. Instead of pacing the players through energy or construction timers, they went with a system that limits the rewards players get. Players can play as often as they like, but in order to progress and upgrade their deck, they need to pace themselves. #1 is no easy feat, but I believe they accomplished it. Clash Royale is a game, like Hearthstone, that has a shifting meta, no clear answers. Every battle feels different, especially because its synchronous multiplayer. #2 is based on the big change they made over a pure Trading Card Game system. Because you can upgrade each card, eventually the player will be confronted with decks that are stacked against them. No amount of skill will be able to defeat a deck with higher level units. Because of this, players will eventually need to play the chest opening game. There’s no avoiding it. Matchmaking aside, what about the overall feeling of the sessions? 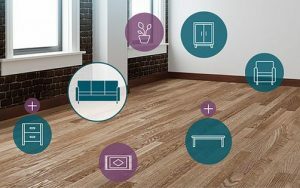 This system fulfills the goals of Flexible Sessions. 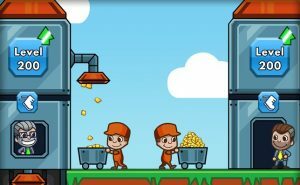 Rather than blocking the player from playing the game, they ask the players to be smart about how they spend their time. But what about having to come back every 3 hours to clear out a single chest? Why not allow for chests to be opened up automatically? Opened up in queue? My guess is that Supercell knows the pain that the chest slots creates, and this is intentional for retention and monetization purposes. Players have to organize themselves to hit all their timers. This uncertainty of hitting their Chest Timers drives players to come back, and pay to speed up the timers when they know they won’t be able to return optimally. I know for myself this chest slot system has converted me into paying to skip timers. So although the Chest system is restrictive, its not nearly as restrictive as a straight up energy system. And having this “soft” restriction allows highly engaged players to opt-in to leaving the game when they feel smart about it. Supercell have a big success on their hands with Clash Royale. This base of strong session design is driving strong retention and monetization. I don’t expect Supercell to change much as this game moves towards global launch. I expect that they are mostly focusing on making their end game deeper and more competitive. This will drive the game even further up the Top Grossing charts, and drive even stronger long term retention. This game will be on the charts for a long time to come. Overall Supercell clearly have opened up new doors with their designs. It shows that synchronous multiplayer can work on mobile, and energy is not needed to pace players properly. Lets see whether this ushers in a new “Clash of Royale Clones” or developers can apply these design lessons to new games on mobile.